Supreme Live Tree Stand Product Features: Powder coated baked enamel finish Supports (1) live tree Perfectly straight and stable trees in less than five minutes'Turn Straight' centering system locks and centers the tree in the stand, then rotates 360 degrees to find optimal branch position.Anti-tip weight diffusing base equally grips floor at all four corners.Cork underpads protect floors.Solid steel construction. Impact-grade plastic water reservoir with 1.5 gallon water capacity.Heavy duty 3/8" support bolts with stabilizing end caps.Support arms adjust vertically for optimal trunk positioning. If you have any questions about this product by Santa's Solution, contact us by completing and submitting the form below. If you are looking for a specif part number, please include it with your message. 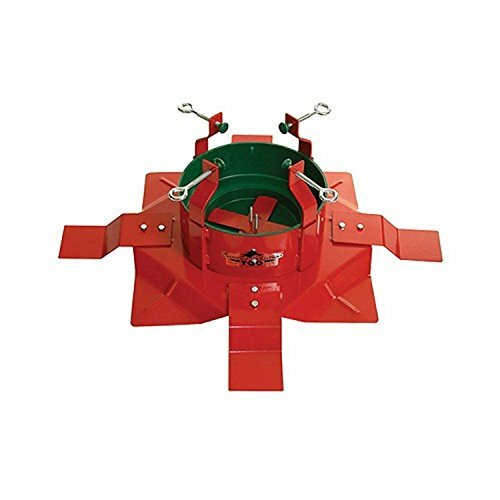 Dyno Seasonal Solutions Swivel Straight Tree Stand 23"